Mount Taranaki in all its majesty. The path is steep and the weather bitterly cold. It’s only 8AM and we have a long day of hiking or, as the Kiwis call it, ‘tramping’ ahead of us. We are aiming for Mount Taranaki’s Tahurangi translator tower which should take about two hours to reach. However, this track requires clement weather conditions and we don’t seem to be in luck today. My three walking companions and I awoke at 6.15AM to a grey, drizzly morning. The rain comes and goes, sometimes pretty heavily. Still, we hope for the best and start our hike optimistically. The wind cuts through my raincoat and I instantly switch to head-down-get-on-with-it mode. The others are putting me to shame with their enthusiasm and energy. As we walk, Wen shares tales and superstitions from her home country, China. Apparently Chou-En-Lai (1898-1976), the First Premier of the Republic of China, believed that walking on small stones like those on our track up Taranaki was rejuvenating, good for your health and helped to prevent diseases such as Parkinson’s. I’m interested to learn this since my father suffers from this degenerative disease. I’m uncomfortable; chilly and sweaty at the same time. My breath comes hard and fast. The only way is up. Soon we come to a junction where the two options are ascent or descent. To get to the tower we need to continue uphill, but the cloud cover is so low by this point the way ahead is a misty whiteness. We’ve been on this volcano all morning yet we’ve never once seem the summit through the cloud. The wind, rain and cold are really getting to us now so, after a break to snack on some Tim Tams (Australian chocolate treat), we make the decision to discontinue our climb and start to descend. It’s disappointing. I don’t like failure. The weather just isn’t on our side, and it would be foolish to put ourselves at risk to climb into a cloud where we won’t get anything of a view anyway. The view from halfway up Taranaki. We’ve climbed to 1240m above sea level – not bad before 10’o’clock in the morning. Mount Taranaki is an enticing yet dangerous volcano. More people have died trying to reach the summit than on any other mountain in New Zealand. 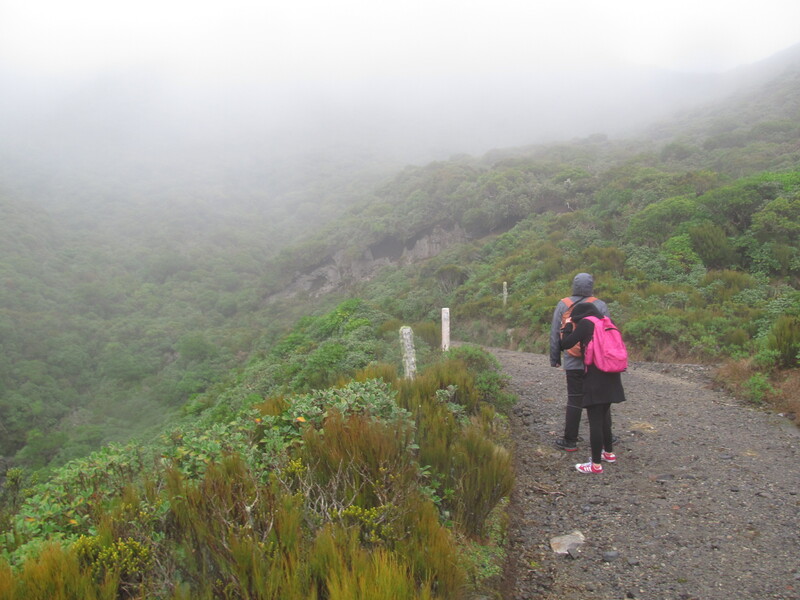 In fact, a couple tragically lost their lives attempting to reach the volcano’s summit less than a week after our hike. The weather can turn from sunny to treacherously cold in minutes. Taranaki, an andesitic volcano, has one of the most symmetrical cones in the world and was used in place of Mount Fuji in the film ‘The Last Samurai’. It’s a stunning sight on a clear, sunny day. Unfortunately, Taranaki has a tendency to be overshadowed by clouds and I only got a good look at the peak on one day out of the six I was in the area. Fortunately, the lower aspects of Taranaki have much to offer if the peak isn’t playing ball. 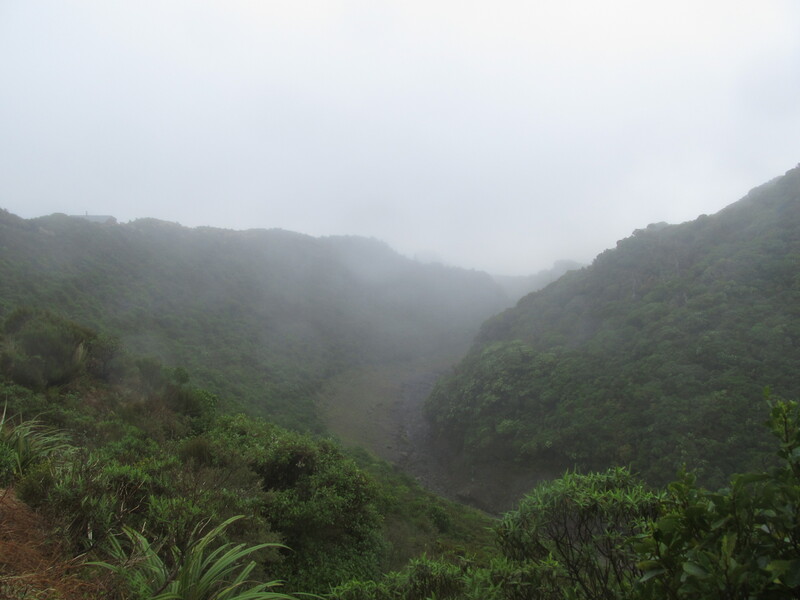 Lush native forest blankets the 35,000 hectares of Egmont National Park below the tree line (1,100m). Due to high levels of rainfall in the area, the forest is heavy with moss and lichen and is aptly nick-named the ‘goblin forest’. The presence of plant species such as Aaron’s Beard Lichen and variations of bog moss adds to the atmosphere. It’s a bit fairy-tale like and other-worldly. As we descended through a thick forest coated in misty drizzle the Shakespearean play ‘A Midsummer Night’s Dream’ sprang into my mind. The weather conditions were nothing like midsummer, admittedly, but there was certainly something magical and enchanting in the woods. 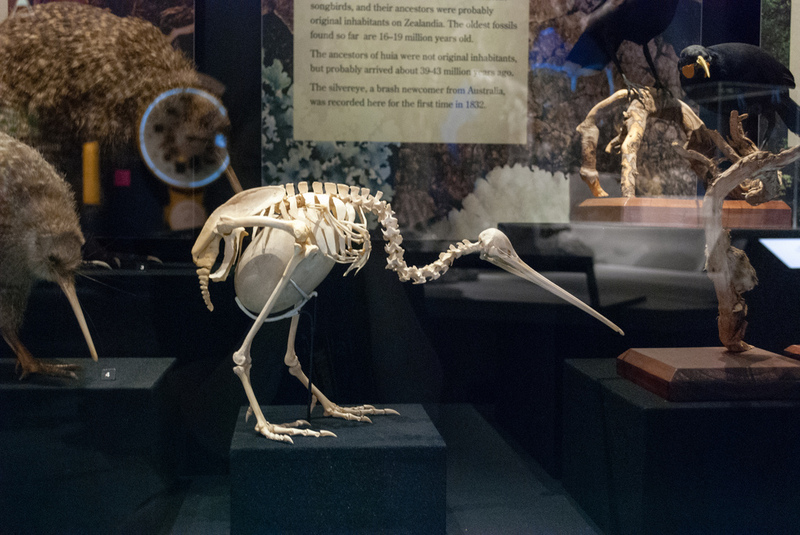 Brown Kiwi skeleton. Flickr via The Eggplant. 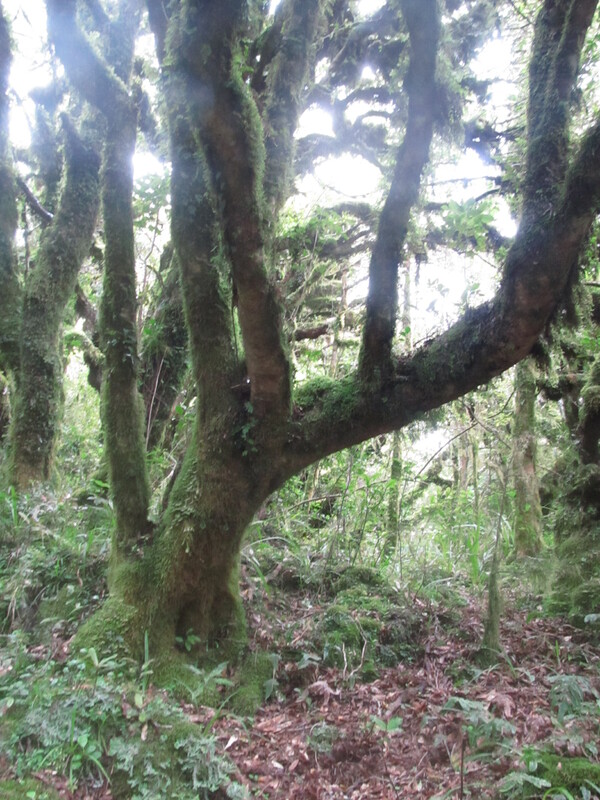 The North Island Brown Kiwi has a small stronghold in Egmont National Park. There are an estimated 30-40 pairs of kiwis here, although they are under threat. The Department of Conservation (DOC) is rearing kiwi chicks in order to release them back into the wild. Dogs are banned from the national park as they are also known kiwi killers. In 2004, the only radio tracked kiwi in Egmont, ‘Sunny’, was found killed by a dog. The endangered native Blue Duck is also part of a relocation programme here. The main threats to birds are rodents such a stoats, and the DOC has undertaken widespread stoat control in order to reduce their numbers. 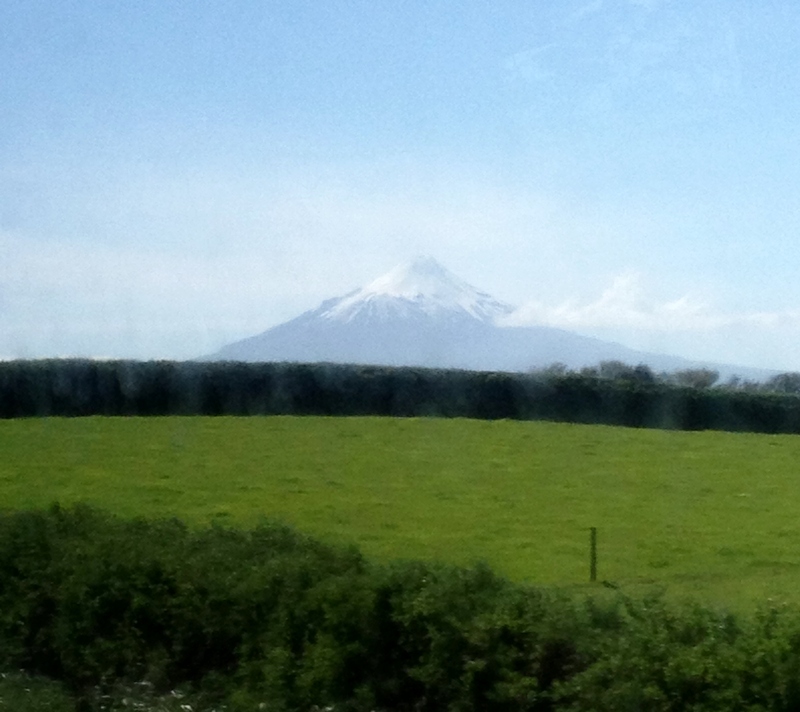 So this is Taranaki, an elusive volcano that hides mystically behind clouds. The weather is unpredictable and can change at any moment, as if by magic. 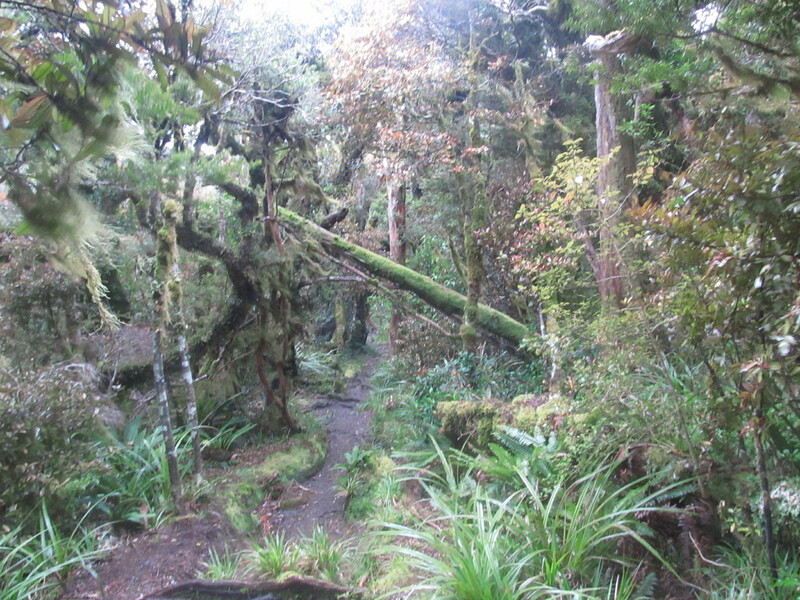 New Zealand’s most secretive bird hides somewhere in the undergrowth. The lower slopes are blanketed by an impossibly green forest, every tree draped in spongy moss and lichen. If fairies exist, this goblin forest seems like a perfect home for them.